SourSAhead of its official release, Chinese smartphone maker’s Vivo 15 Pro’s hands-on images have been leaked on Chinese microblogging site Weibo. 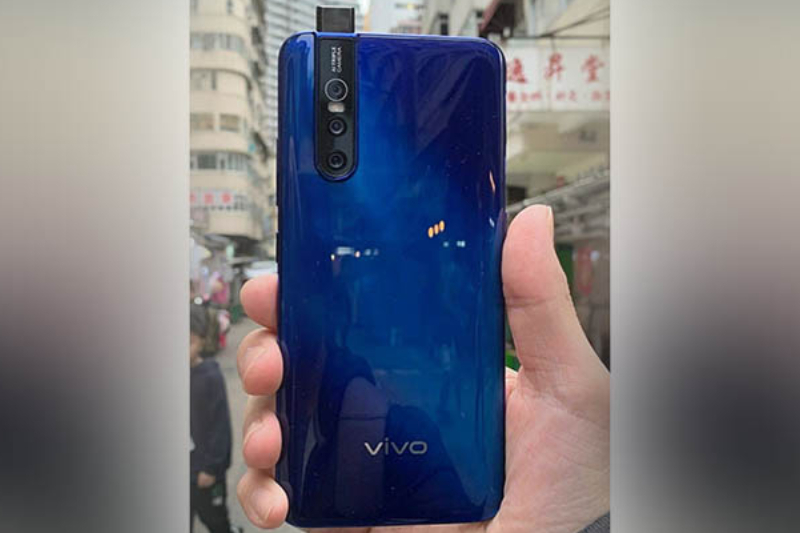 The leaked picture of Vivo 15 Pro gives a clear picture of triple camera set up at the back while 32-MP selfie pop-up camera, which is aligned with the rear camera is also visible. According to reports, it is powered by Snapdragon 675 and packs with 6GB of RAM and 128 of internal storage. The Vivo 15 Pro runs on an Android Pie operating system. It is to be noted that Vivo 15 Pro is the company’s second smartphone, which will have a pop-up selfie camera. Vivo has earlier introduced the same selfie shooter in Vivo Nex. In Amazon India, the company has claimed that Vivo 15 Pro’s in-display sensor has been redefined more than five generations indicating that it may be the device that we have ever seen earlier. The device is officially scheduled to launch in India on February 20, and likely to clash with Samsung’s Galaxy S10. The company has not yet disclosed any details about its price but it is expected that it will come under the budget section. The phone will have a big AMOLED display. The phone will be available in a gradient colour pattern underneath the glass panel, a design that is being loved by millions of people. As we already mentioned above that Vivo is scheduled to launch the V15 Pro in India on February 20. The smartphone is expected as the successor to the V11 Pro that was launched in India in 2018, with a price tag of Rs. 25,990.